I haven't done a currently post in awhile, so I figured go a little picture crazy for this one! Loving: my fun new Shwings! They're fun wings to accessorize your sneakers for some extra oomph. While I usually prefer to get my wings from a can of Red Bull, these pink sparkly beasts definitely dressed up my Nike Dunk Sky Highs rather nicely! I can't wait to test them out on my Neon Yellow Litas! Making me smile: The awesome Lionel Richie Valentine's day coloring sheet I found! While bebesitting for my two of my favorite littles, I was looking for a holiday themed craft. I couldn't find the craft bin, so I decided to print out some fun coloring pages. I don't remember what I searched for, but when I saw this, I gasped + one of the cutest two-year-olds on the planet toddled over + asked what I was doing. I showed him, but he didn't understand it. I already gave it to Erich, because its amazing. You can find this gem over at Creative-Type Dad, because this dude seems to love Lionel just as much as I do [there are pages of Lionel goodness]. Patiently waiting for: the Wildfox SS '13 lineup, which is based on Clueless, which is one of my favorite movies ever. The collection launches sometime this month + I've been obsessively checking the site to see if its up yet. 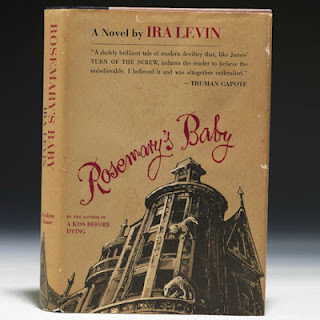 Reading: Ira Levin's Rosemary's Baby. I snagged a first edition hardcover, because I really dig finding the original books, because I feel that is truly the author's creation. Levin captured my attention when I read The Stepford Wives years ago + this has been on my reading list for years now. Better late than never, right? 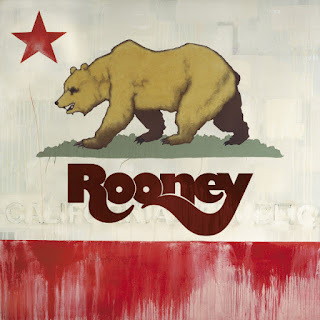 Rockin' out to: Rooney's self-titled album. I have been in a hard-core nostalgia music mode as of late, so I revisited one of my favorite albums from ten years ago. Somewhere in my old room I have the old demos burned on a CD, along with a few of the old EPs. 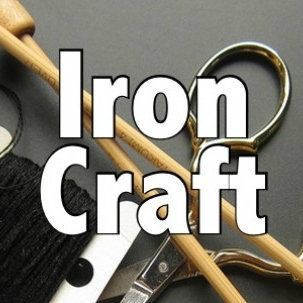 Thinking about: what the next Iron Craft challenge will be. Week 1 was cotton, so Sarina + I used cotton totes I had lying around + made some fun stencils with freezer paper [Sarina created a freezer paper stencil tutorial, so make sure to check it out]. 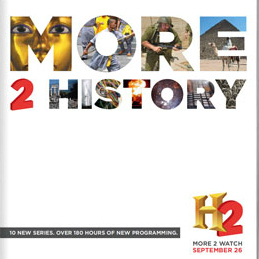 Watching: H2, which is essentially what the History Channel used to air - actual shows about history [instead of stupid reality shows that make me want to cry]. I pray that they don't pull an MTV2 + decide to switch from awesome programming to more heinous reality shows. A big thank you to Danielle from Sometimes Sweet for passing on the idea for these fun "Currently" posts! Those shoes are great I love the pink sparkly wings!